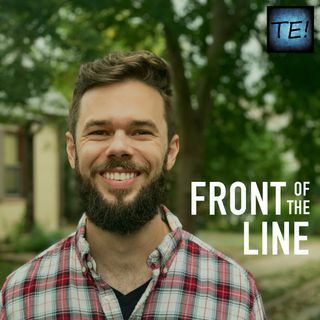 In episode 2 of Front of the Line With Jack Kilby, Jack speaks with saxophonist, composer, recording artist, pianist, and educator, Charles Owens. In addition to being the saxophonist for Jack Kilby and The Front Line, Charles also composed the title track of Jack Kilby and The Front Line's debut release "Love Is A Song Anyone Can Sing". Selected songs taken from Jack Kilby and The Front Line's debut release "Love Is A Song Anyone Can Sing - Vol 1" highlighted in ... Maggiori informazioni this podcast are"Love Is A Song Anyone Can Sing" and "Pure Imagination". All music heard in this podcast is taken from "Love Is A Song Anyone Can Sing - Volume 1" which is available on CDBaby, Bandcamp, ITunes, Amazon, Google Play, Spotify, Tidal and many more.